Leslie L. Lackofi, 94, of North Ridgeville, passed away peacefully on Saturday February 2, 2019 at Ames Family Hospice, in Westlake. He was born in Budapest, Hungary on September 3, 1924. 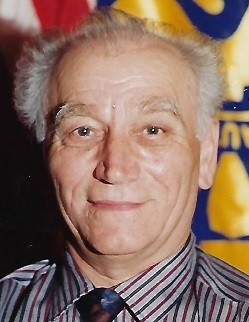 Leslie immigrated to the United States in 1956 during the Hungarian revolution. He was a veteran of WWII. Leslie was a long time resident of North Ridgeville, where he spent many days tending to his crops on his 40 acre farm. Leslie also worked for the Ford Motor Company for many years and retired in 1985. Following his retirement, Leslie started up his own firewood business in North Ridgeville, calling it Leslies Firewood. Leslie was also a member of the Friends of Hungary Club in Lorain. He will be missed by; his wife, Rozalia; his son, Les; two grandchildren, Christina (Hope), and Andrew; and by two great grandchildren, Emma and Olivia. He was preceded in death by his daughter, Susie.